Barbie maker, Mattel, saw its sales drop for a sixth consecutive quarter as the appeal of its iconic doll continued to wane. Net sales fell by 2.5% in Q1 2015 from a year ago, while global sales of Barbie fell 14% in the same period. The toymaker’s net loss also widened more than four-fold to $58.2 million. Fifty-six year old Barbie has been facing stiff competition from a range of new toys and gadgets. Electronic toys, tablets and merchandise from popular films such as Disney’s Frozen, along with competition from rivals Hasbro and Denmark’s Lego have all led to sliding sales of the doll. 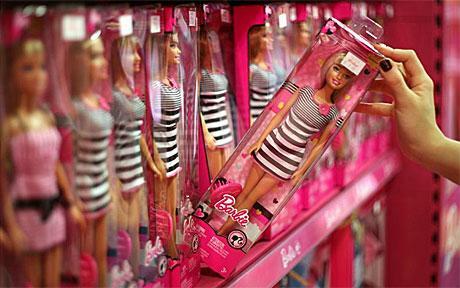 Barbie accounts for a quarter of Mattel’s sales. In an attempt to revive Barbie’s lagging popularity, Mattel had fired chief executive Bryan Stockton in January and replaced him with board member Christopher Sinclair. “We’re starting to see progress with our core brands like Barbie and Fisher-Price, and I am confident we are making the changes necessary to perform better in the future,” Christopher Sinclair said in a statement on April 16. Mattel’s New York listed shares were up 6.5% in after-hours trading after its sales decline was not as bad as analysts had feared.